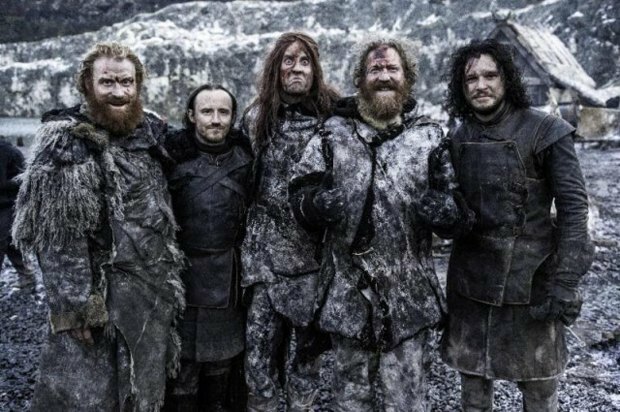 The members of Mastodon made cameo appearances as Wildlings in last night's Game of Thrones. Celebrity cameos are generally avoided on the show, which could jeopardize the integrity of its richly consistant and believable fictional world. But a scene involving *SPOILER ALERT* Wildlings brutally stabbed to death and then brought back to life by White Walkers is, like, the most metal thing ever. It was perfectly fitting that Mastodon played the part. The metal heroes are big fans of the show, and will contribute the song "White Walker" to the Catch The Throne Vol. 2 mix tape this year. Here's Mastodon as their usual selves.